We’re presenting the Beach House show, Thursday night at The Echo, and have three pairs of tickets to give away to ye loyal Drunkard readers. 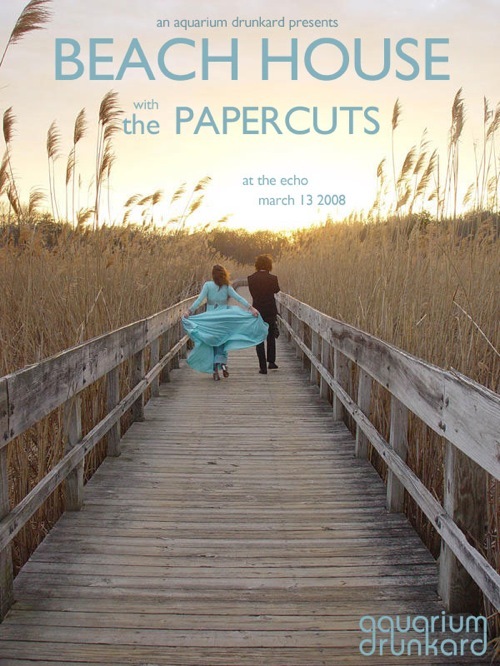 Papercuts open. If you want a pair, leave your full name, and email address, in the comments. Winners will be chosen at random, and sent an email at the provided address. i love beach house a whole bunch. Just letting you know that the show time has changed to 8pm and will now be at the Echoplex! Heard a lot of great stuff about boy bands. I’d love to see if it’s true.